We are very excited to announce our upcoming Cooking Class Series here at Abbington Green Bed & Breakfast Inn. Read on for more information about the classes and our participating chefs. We hope to see you soon! Janie Hicks grew up in a small community near Boone, NC. She started helping her mother cook at a very early age. Her first job was in an outdoor kitchen with a wood cook stove and cooking over an open fire. She spent 2 years working for a small company hand making ravioli. Her main passion is food. She loves cooking and creating new dishes. She is currently working at Chiesa a neighborhood Italian Restaurant on Montford Ave. "I look forward to spending an evening cooking and creating a meal together with you!" 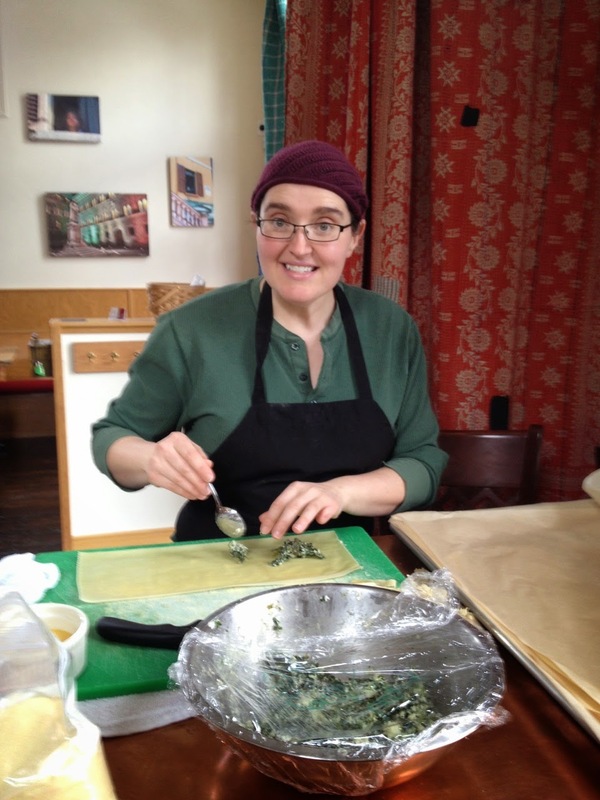 Janie is currently the Chef at Chiesa, located at 152 Montford Ave in Asheville, NC. Steven Goff is a 20 year veteran of the hospitality industry who has worked in kitchens ranging from fast food to fine dining, as well as multiple front of the house positions. Steven writes, teaches, and consults about all things kitchen and hospitality! He currently owns and operates the King James Public House, a modern Appalachian public house, located at 94 Charlotte Street in Asheville, NC. Nick Poulos, Owner of Abbington Green Bed and Breakfast Inn, grew up in Ohio and learned to cook from his mother and father at an early age. “I remember anxiously waking up on Saturday mornings knowing that I was going to be cooking breakfast for my family.” That’s where his love of cooking began, and after taking several cooking classes and working for Williams-Sonoma, as a Regional Vice President in the Southeast, his passion for cooking grew. Nick is not a trained chef, but is an accomplished home cook. He cooks a two course breakfast every morning for their guest at Abbington Green. Check out the Trip Advisor Reviews on Abbington Green about Nick’s outstanding breakfasts. Chef Evan Garr actually began his restaurant experience as a server before moving into the kitchen at the age of 20. He discovered that he enjoyed it so much that he wanted to make it a career. Then he applied to an apprenticeship program at The Homestead in Hot Springs, VA – the oldest resort in the nation. After gaining his formal culinary training at The Homestead, Evan worked in a variety of jobs in Charleston and Charlotte - all with a diverse culinary theme. He has managed kitchens that cook dishes ranging from All-American, Lebanese, and classic French. 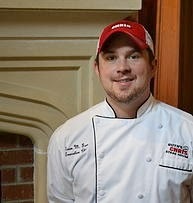 He currently is the Chef at Ruth Chris, located at 26 All Souls Crescent, Asheville, NC.